This panel indicates and explains frameworks and/or paradigms between International Relations and Islam. Discussant:Prof. Dr. Maurits S. Berger, LLM is the Professor of Islam in the contemporary West and the Sultan of Oman Chair for Oriental Studies of the Institute for Religious Studies, Faculty of Humanities, Leiden University. He is also a Senior Research Associate at the Netherlands Institute of International Relations ‘Clingendael’. Tauseef Ahmad Parray is a Doctoral Candidate in the Department of Islamic Studies, Aligarh Muslim University (AMU), Aligarh, India, and Sadia Jabeen is a PhD Research Scholar, University of Peshawar, Pakistan. Treaties are an important source of Islamic International Law. From the classical period to the pre-modern times, there have been treaties, pacts and alliances between Muslims and non-Muslims that have proved to be very helpful as far as International relations in Islam are concerned. In this direction, in this paper, five (5) treaties, both of classical as well as of modern era, will be assessed and evaluated from the contemporary perspective. These four treaties are: i) Constitution of Medina, ii) Treaty of Hudaybiyyah (March 628/6 AH), iii) Treaty of Umar, iv) Treaty of 1535 between Sultan Mehmet and Frances of France, and v) Ottoman treaty with Russia in 1739. These treaties can act as “models” in the present times as well to establish friendly relations with non-Muslims countries and nation-states in various fields, socio-economic, scientific and technological, and other relations. Historically, Muslim societies have always been keen to interact with other nations and civilizations for the settlement of disputes. For this purpose, they used international negotiations as a tool. In the early period of Islam, as a result of international negotiations, Muslims successfully entered into many international treaties, agreements, and charters. These agreements and charters, which were completed during the period of Prophet Muhammad (PBUH) and early Caliphs, later on became not only historical documents, describing a formative period of Islamic civilization, but also became sources of Islamic International Law. These agreements also contributed directly or indirectly to the development of modern international law. The legitimacy of international treaties is proved from Quran and Sunnah, and Quran has clearly instructed the Muslims, not only to respond positively when called for peaceful treaties, but also instructed them to fulfill their commitments. The same has been expressed in the Sunnah of Holy Prophet (PBUH), who himself concluded many international treaties, charters, and agreements. Muslims jurists have divided international treaties and agreements in various categories, such as, agreements of friendship, peace treaties, trade treaties, treaties for protection, and forced treaties. In Islamic Law, treaties must be conducted by the authorized personality, it should be for the protection of the interests of Muslims, it should not be a void treaty, and periods of treaties should also be fixed. Along with types and conditions of international treaties, Muslim jurists have also provided detailed rulings of Shariah regarding compliance with international treaties. They have also spoken of ways and mechanisms for termination of treaties. The possibilities of permanent international peace treaties were also deliberated upon by Muslim jurists. The types of agreements, its conditions, authority for conducting international agreements, and termination of international agreements in international law, are not too dissimilar to Islamic International Law. However, rulings of Shariah regarding these issues were established centuries before the evolution of modern international law. Therefore, it cannot be ruled out, that Islamic International Legal thought has contributed directly or indirectly in the development of modern international law and the treatise of Muslim jurists that were developed and complied during 9th Century C.E., may have been used as sources of rules of international law on treaties by European scholars in the 16th Century. The doctrine of liberty of faith has a central place in contemporary international law. Modern developments in this area of international law begun in the 19th century, and the doctrine was subsequently accepted as a part of customary international law, and incorporated in international law through various instruments, including the Universal Declaration on Human Rights, and the European Convention on Human Rights. Contrary to certain perceptions regarding early Islamic interactions with people of other faiths, Islamic treaties, from the earliest days of the Holy Prophet (PBUH) and the early Caliphs, as well as in later years, placed a significant amount of focus on liberty of faith, as a central theme in dealing with other nations, and people of other faiths. This stems from a fundamental principle set out in the Holy Quran, whereby there is be no compulsion in matters of faith. Islamic International Law has not treated this injunction as mere theological belief, but has incorporated this as a principle of dealing with people of different faiths. Islam came into contact, often hostile, with people of other faiths from its very inception. Despite the hostile nature of such contacts, Islamic treaty making, starting from the Misaq of Madina, the Treaty of Hudaibiya, and subsequent treaties after the conquest of Mecca, shows that liberty of faith has as a matter of policy and practice, was given paramount importance from the very beginning, thus setting a precedent for future development of Islamic International Law, and Shariah rulings on the subject. The present article aims to analyze a number of early Islamic treaties, including specifically the treaty with the People of Najran, Treaty with the People of Jerusalem, the Treaty of Lud, and select subsequent treaties by Muslim rulers, and related Shariah rulings by early scholars, from the perspective of the doctrine of liberty of faith, in order to understand the impact of Islamic International Law on the genesis and development of the doctrine of liberty of faith in modern international law. Shariah Law has combined in itself, not only what law ‘is’ but also what law ‘ought to be’. It is in short, the ‘is’ and the ‘ought to’ of law and thus positive as well as ideal and may aptly to be described as the Positive law in Ideal form. Islam considered life as an organic whole, all its parts to be governed by Islamic Law, hence the conception “render unto Caesar the things that are Caesar’s,and render unto God the things that are God’s” has no applicability to it. Islam is a universal religion so as is its law. Majid Khadduri has points out that the relevance of comparative studies of Islamic Law of War and Peace is inbuilt in the interpretation of Article of the Statute of the International Court of Justice, under which the Court applies “the general principles of law recognized by civilized nations.” There is now so much interest in the debate over the question whether the international law of which Hugo Grotius is often called the father is so completely Western-European in inspiration and outlook as to make it unsuitable for universal application in these days of a much wider and more varied international community of states .The attention recently paid-both in scholarly writing and in international arbitral awards-to Asian, Middle Eastern, and Islamic precursors of the law of nations has revealed how widely certain concepts have influenced man’s thought as problems concerning the interrelationships of various groups have been faced throughout history. Therefore it has to be understood that the various systems of international relations including Islamic has contemporary significance for the better International Relations and world peace. The is the purpose of this article which will focused on tracing the contemporary significance of Shariah Law in international relations. Islam’s perspective, insofar relations with other societies and civilizations is concerned, has always been outward looking. From the early days of the Holy Prophet (PBUH), the Muslim State tried to establish friendly relations with neighboring, as well as distant states. Thus, even before the age of conquests, Muslims and Islam were rather well-known in even remote areas of the world at the time. Subsequently, the spread of Islam owes much to the travelers, traders and other individuals who ventured as far as China, and the heart of Africa, and their travels have been well-documented. Contemporary perspectives of Islam often consider it to be an inward looking religion where contact and interaction with other societies is shunned and discouraged. Although these perspectives are based on observations and analysis of recent practices, such practices are often the result of regional political and social phenomenon, and are restricted to certain areas within the Muslim world, and can be explained through various phenomenons which are not linked with the teachings of Islam. 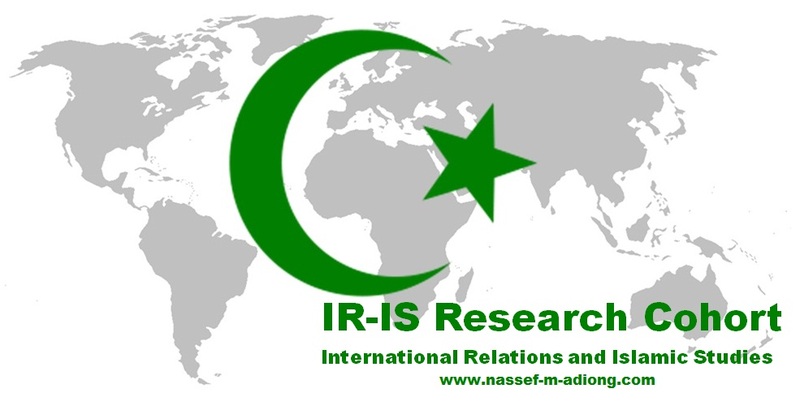 The current article aims to examine Islamic teachings and practices regarding interaction with other societies and civilizations, in order to examine Islam’s role in internationalization of Human Society, and to study the role played by Muslim civilization in the development of other civilizations in adoption and adaptation, as well as its role as a bridge between different civilizations.